A very smart Marston's pub near to the Old Fort. The place is really good,decent food, polite staff. The only obvious draw back is that only Marston companies beers are served. Good place to come and eat if you have a dog. Large spacious bar area with additional restaurant seating. Food was good and the beer, Razorback was excellent. Visited on Monday 23rd Sept after reading the rather old but decent reviews and although it was 9pm we were the only people in the whole pub. Shame as it looked a nice place and had a friendly but rather bored barmaid, however the beers were very limited, only three Ringwood ales with the Boon Doggle costing £3-60 !! 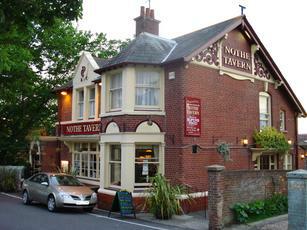 I have been coming to the Nothe Tavern for almost eight years now and have never once been disappointed. Caroline and James have done a fantastic job on maintaining and improving upon the warm character and comfortable atmosphere and the food, staff and overall quality of service on offer is amongst the best you'll receive in Weymouth or anywhere else. I last visited the Nothe for my brother's birthday. We had a great table, all laid out with decorations and the food was superb. Big portions that hadn't sacrificed flavour or quality for size. 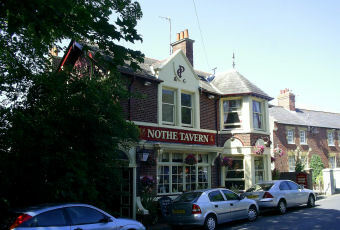 A good selection of ales and an always attentive, friendly and helpful staff on hand for whatever you need. I honestly can not recommend this place enough and I never have to try too hard to find a reason to visit. 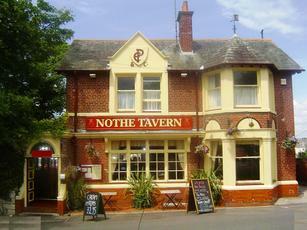 With the coming of the Oympics this year and the new developments listed in the local paper, the Nothe Tavern is definitely going to be the place to be this summer and, if there's any justice in the world, for a long time after.